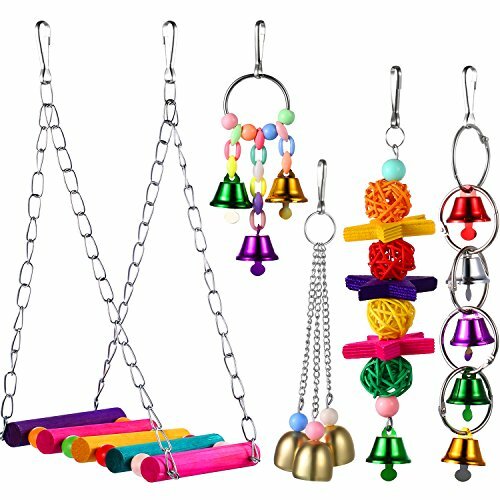 The bird toys are durable and lightweight and the inner walls and cores of the bells are smooth. Made of the non-toxic materials, it is safe for pet birds. 5 Pieces of different types toys for all most birds. It is colorful and beautiful, let you and your pet keep a happy mood and add vitality to life. If you have any questions about this product by Zhehao, contact us by completing and submitting the form below. If you are looking for a specif part number, please include it with your message.